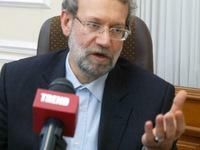 Iranian Parliamentary Speaker Ali Larijani said the relations between Azerbaijan and Iran are at a very high level. "Azerbaijan is a neighbor country with Iran, is a Muslim and fraternal country. Iran and Azerbaijan have historical ties, based on deep roots. From this point of view, the relations between the two countries in various spheres are at a very high level," Larijani told Trend on the eve of his visit to Azerbaijan on June 30. Fortunately, in recent years, diplomatic negotiations have been conducted to develop political, economic, cultural and social ties between the two countries, and the relations continue to develop, he said. "With regards to the inter-parliamentary relations of the two countries, a friendship group has been organized between the parliaments, they are in constant contact with each other and hold discussions," Larijani said. "We meet with our Azerbaijani friends in the international arena and conduct negotiations with them. Our inter-parliamentary relations are satisfactory, but we can improve these relations and share experiences. The parliaments of both countries can adopt some joint laws that can enable to create even better conditions for investments. Thus, we can expand the cooperation between the parliaments of the two countries in the field of legislation," he stressed. Another sphere in which the sides can cooperate is the international inter-parliamentary community, Larijani said. Both countries are members of the OIC Parliamentary Union and the International Parliamentary Union. At the International Parliamentary Union, we can together discuss many issues, including the situation in Muslim countries, international issues, as well as issues of mutual interest for both countries. The third sphere in which we can cooperate is that the parliaments of both countries support the implementation of projects of inter-state importance. "The potential that exists in the parliaments of both countries can play a supporting role in implementing bilateral economic, political and social projects," he said. He emphasized that a number of important issues exist to be discussed at a political level. "This is a number of regional issues and the issues of mutual interest for both countries, which will be discussed during my visit to Azerbaijan," he said. "The parliaments of Iran and Azerbaijan have signed several cooperation agreements. During my visit, we can also sign a number of other agreements in spheres of interest for Azerbaijan," Larijani added. Experience shows that when the big countries interfere in the solution of regional conflicts, this conflict protracts. They pursue their own goals in this regard, he stressed. "The OSCE Minsk Group has been conducting talks on the Nagorno-Karabakh conflict settlement for several years. What results have been achieved? How did they approach the solution of this? From this point of view, we reasonably believe that the negotiations to resolve such conflicts can be better conducted inside the region because the region countries can better understand each other. I think that the territorial integrity of the country must necessarily be taken into account, and discussions should be conducted inside the region," Larijani said. The conflict between the two South Caucasus countries began in 1988 when Armenia made territorial claims against Azerbaijan. Armenian armed forces have occupied 20 percent of Azerbaijan since 1992, including the Nagorno-Karabakh region and 7 surrounding districts. Azerbaijan and Armenia signed a ceasefire agreement in 1994. The co-chairs of the OSCE Minsk Group - Russia, France, and the U.S. - are currently holding the peace negotiations. Larijani said Turkey is a very important country and Iran exchanges views with this country in various fields. "A well-known fact is that the economic cooperation between Iran and Turkey is at a high level. Turkey also is a fraternal and friendly country for us, we have sincere and good relations with this country," he said. "We closely and continuously exchange views on many events in the region. The Leader of the Iranian Islamic Revolution Imam Khomeini said that the Muslim countries should always be friendly and united. The strategy of the Islamic Republic of Iran is expressed in it." "If the Muslim countries unite assessing the existing capacity, they can prevent the interference of many countries in the region, which want to create problems there," he added. "We can demonstrate cooperation between Iran, Azerbaijan and Turkey as the exemplary cooperation in the region. All three countries well understand and communicate with each other and cooperate in many spheres,"
"There are no "knots" in Iran's nuclear program, since there is IAEA-developed special legal system for peaceful nuclear activities," Larijani said . He was commenting on relations between Iran and the West over Tehran 's nuclear program. He said the countries that have signed the Treaty on the Non-Proliferation of Nuclear Weapons operate under the control of this system. "This organization should support the country that is a member of the IAEA in the field of peaceful nuclear activities, as well as help if it needs. I think that the problem in the discussions regarding the peaceful nuclear activities of Iran is that the U.S. and Western countries conduct the policy of "restrictions" against Iran," he stressed. The U.S. and Western countries want the Muslim country not to have knowledge in the field of nuclear technology, Larijani said. "They want to keep nuclear technology in their hands. The reserves of natural fuel will whenever exhaust, so they are already thinking about the future. They want the Muslim world to depend on them after the natural resources exhaust. So, they oppress Muslim countries in this regard." Another important factor is that the new technologies themselves create potential for the development of science in Muslim countries.The Western countries are concerned not only over the fact that Iran possesses nuclear technology, but also the fact that Iran has succeeded in other new technologies. The main problem is that they do not want to be reconciled with the changes which are taking place in the contemporary world. "Today, it is impossible to put restrictions on science. 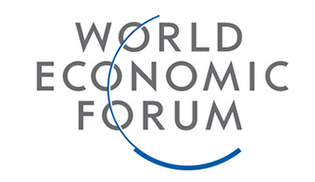 Conditions should also be created for other countries to develop new technologies. Iran's nuclear activities have faced unfriendly policies of the United States and Western countries. They said one thing repeatedly in discussions with the West, or at closed meetings, but expressed a different position after the meetings," he said. "Iran is a country that relies on the people and democracy," Larijani said . "From this point of view, there can be some controversies every time." He was commenting on criticism of the Iranian parliament to address certain public officials. In general, differences arise in various fields in order to specialize. Thus, the parliament approves any provision to develop the industrial sphere, makes a decision how to assist the development of agriculture or identify ways how to solve some problems existing in the country's economy, he added. Parliament, as a controlling body, sees the flaws and shortcomings in some executive agencies and wants to solve them. "The presence of shortages related to law violations in some government agencies is natural. Maybe, the executive authority has not fulfilled some law. In this case, the parliament is obliged to remind them about it and make corrections. Our views on the issues have the same goal - to make changes and corrections," he stressed. "The control, criticism and comments serve one purpose - to raise the country to the "peak of development," he said.